Final Fantasy XV is going to have mod support on PC, but its director wants to keep things PG. Modding is huge in the PC space and developer/publisher Square Enix acknowledges that, which is why Final Fantasy XV’s PC release will have full modding support that allows you to tweak every single aspect of the game to suit your tastes. In the original announcement, the games director acknowledged that adult mods come with the territory and that they’ve decided to allow them in order to grant players full modding freedom. It was a surprise that they actually acknowledged the existence of adult mods and officially stated they wouldn’t try to stop them. HOWEVER, in a recent interview(Or possibly a piece of the original interview that didn’t pop up until now due to some similar sentences. ), the games director stated that while they are allowing adult mods, it is entirely possible that if these mods get out of hand it will lead to restrictions being placed on modding or modding being dropped entirely for both Final Fantasy XV and future PC releases of Square Enix’s games. Ultimately, the final say rests with the head of Square Enix, but Tabata has asked that the modding community show at least some restraint with regards to adult modding. This response is likely being made with regards to the brands image. It wouldn’t be the first time that a game has been associated with adult mods in the media, but that can potentially damage the brand because the casual onlooker wouldn’t know that what they’re looking at is a fan created modification that the developers did not originally put into the game and did not endorse. Once that image is out there, it becomes hard to separate the actual product from that negative image. It’s like a popular actor making a divisive statement that costs them their career in some way. So in a sense, I can understand Square asking modders to at least show some form of restraint, but at the same time both you and I know that modders won’t listen. 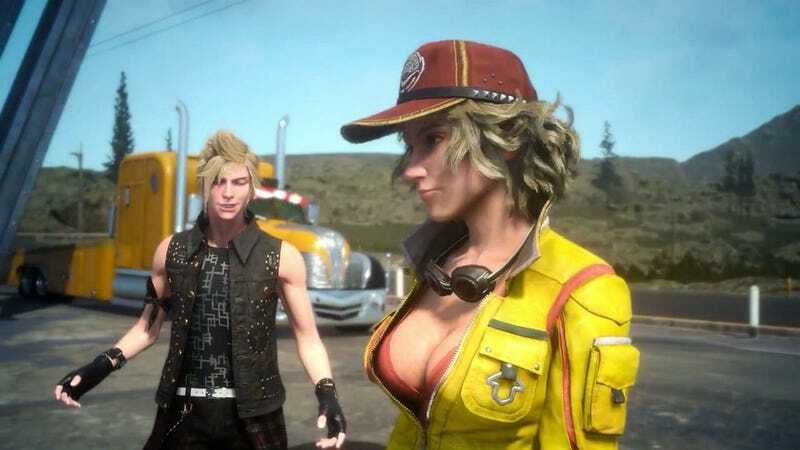 Just like Skyrim before it, Final Fantasy XV Windows Edition will likely turn into a pornographic paradise in no time flat. At that point it’s up to Square to make good on their threat to cut mod support or to just let it go. Of course, even if Square did cut mod support for Final Fantasy XV, it will be too late to block off the games character models because they’ll have already hit the internet, and so if XV’s engine isn’t an option, there’s always Source Filmmaker.